When Guelph Police hired Officer Albert "Ted" Lamb (later Chief of Police) in 1925, he became the first motorcycle police officer in Canada. Lamb had acquired the vehicle during the First World War and brought it home to Guelph, where he found it to be useful in his new position. 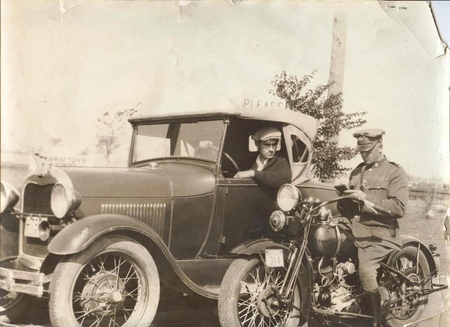 motorcycle officer using his own vehicle, which he had brought home from the war. Lamb donated use of the motorcycle, maintained and kept it in good repair, and also paid for gasoline out of his own salary.